Where was the first china manufacturer founded in Poland? Which Polish tableware is still used by the leaders of other countries today? What does Pablo Picasso have in common with the ceramicists of the Vistula? Culture.pl has culled together a list of china factories closely intertwined with the history of 18th-century Central and East Europe. The faience factory in the Wołyń region town of Koryc (now in Ukraine) was founded in 1784 on the initiative of Prince Józef Klemens Czartoryski. This was the second faience manufacturer founded in Poland after Stanisław August’s factory in Belvedere near Warsaw. This was also the first Polish china manufacture produced here since about 1789. 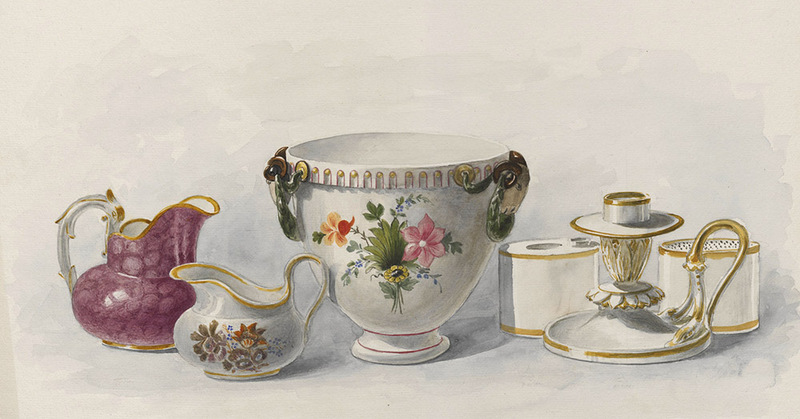 One of its first products were cups with an illustration of the factory in Koryc on them, which were sent by the then-director Franciszek Mezer as a gift to King Stanisław August. After the second partition of Poland, Wołyń was incorporated into the Russian Empire, resulting in straitened export of goods and higher tariffs. This made running one’s own plant an unprofitable business. In the beginning of the 18th century the factory was run by two china manufacturing specialists from Sèvres – Charles Meraud and Louis Petion. Thanks to Meraud, the faience plant was relocated to Horodnica (where it still exists today in modern Ukraine), whereas Koryc became a place for china production only. Eventually, the factory was closed in 1832. At first, its products were marked with the inscription “Korzec”, but after 1790 this was substituted with an Eye of Providence. whereas recently the combination of both is used. Today, the capital city of Polish ceramics is Bolesławiec located in the Dolny Śląsk region. The surrounding area is rich in clay deposits perfect for making earthenware goods, a fact that was well-known among artisans as early as the Middle Ages. Their first guild was founded here in the beginning of the 16th century with the goal of evolving into a renowned centre of ceramics production within the next century. In 1753, when most of Śląsk was part of Prussia, the world’s biggest dish was created in Bolesławiec (then Bunzlau), the so-called 'Wielki Garniec' (The Huge Gallon) by Johann Gottlieb Jopp. This two-meter-long dish with a capacity of over 2000 litres became the town’s symbol – numerous miniature souvenir figures were created and its image was reproduced on postcards as well. Even these days, earthenware dishes in Śląsk are called 'bunclocks', no matter where they come from. Ceramics from Bolesławiec were made popular by the master Johann Gottlieb Altmann. He was the first to introduce the feldspar glaze used today in lieu of toxic lead glaze and Kaolin, which had been used exclusively on decorative plates. In 1897, the Ceramics Vocational School in Bolesławiec was established. The school’s first director was Wilhelm Pukall – the technical executive of the KPM Royal Porcelain Manufactory in Berlin. Its graduates are renowned for developing new technologies in earthenware production and popularizing avant-garde forms and decorations. All of these factors made products created by companies from Bolesławiec, such as Reinhold & Co., Julius Paul & Sohn and Werner & Co., recognizable and valued in Europe and on other continents. In the 19th century these manufacturers developed a new, unique stamping technique, which is still used this day. After 1945, when Bunzlau became Polish Bolesławiec, prof. Tadeusz Szafran – a Cracovian ceramist and designer of the first postwar vases from Bolesławic recognizable for their vegetative ornaments and fretwork – began to restore the ceramics plants damaged during the war. 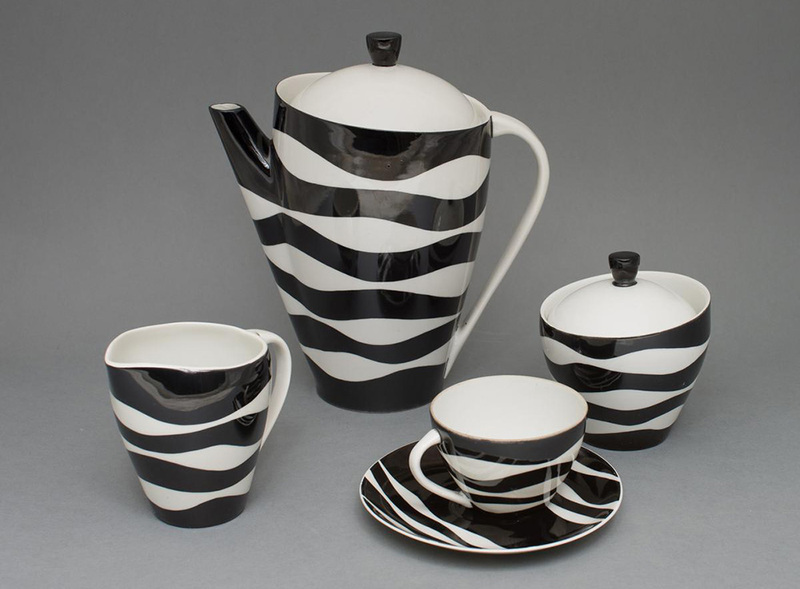 In 1946, the Reinhold & Co. factory was re-opened, which later operated as a part of the Bolesławieckie Zakłady Garncarsko-Ceramiczne.After 1964, it was known as Bolesławieckie Zakłady Ceramiczne Przemysłu Terenowego, and finally, in 1980, it was received its current name – Zakłady Ceramiczne 'Bolesławiec'. These dishes are some of the best-known dinnerware in Poland. They are moulded by hand and painted or decorated with stamps made of sponge or rubbercreating dots, triangles, fish scales, guppies and clover-leaves patterns, usually on a dark-blue background – reminiscent of the traditional folk craft. Kristoff is the oldest factory in Dolny Śląsk, founded in 1831 by Carl Krister, a ceramics designer from Thuryngia. The town known as Wałbrzych today was then known as Waldenburg, while today’s Porcelana Krzysztof was known as the Krister Porzellan Manufaktur. In the middle of the 19th century, KPM was the leading plant producing china in Europe and sold their goods in North America as well. After nearly a hundred of years producing ceramics for both the discerning collector and the bulk buyer, the plant nearly went bankrupt in 1920 and was then taken over by the Rosenthal concern. This protected the Śląsk factory from dissolution due to the Great Depression in the 1930s. During the World War II, this global manufacturer did not stop its activity, taking advantage of forced labourers and prisoners of war. In 1945, Śląsk was incorporated into Poland and Krister’s factory was taken over by the Polish authorities. The company was renamed as Zakłady Porcelany Stołowej 'Krzysztof', however, German signature marks and patterns were used until 1953; 'Made in Poland' was only added below the logotype. In the 1950s and 1960s, a new name was introduced – 'Wawel', but the old 'Krzysztof' name was soon restored. This was when the famous vases from the 'Rock and Roll' series were created by Danuta Duszniak, a pioneer of the New Look style, and Picasso-resemblant plates by Teresa Waligórska. The plant was privatized at the beginning of the 1990s and renamed as Fabryka Porcelany 'Krzysztof'. In 2010 it changed owners and names once again, becoming Porcelana Krzysztof. 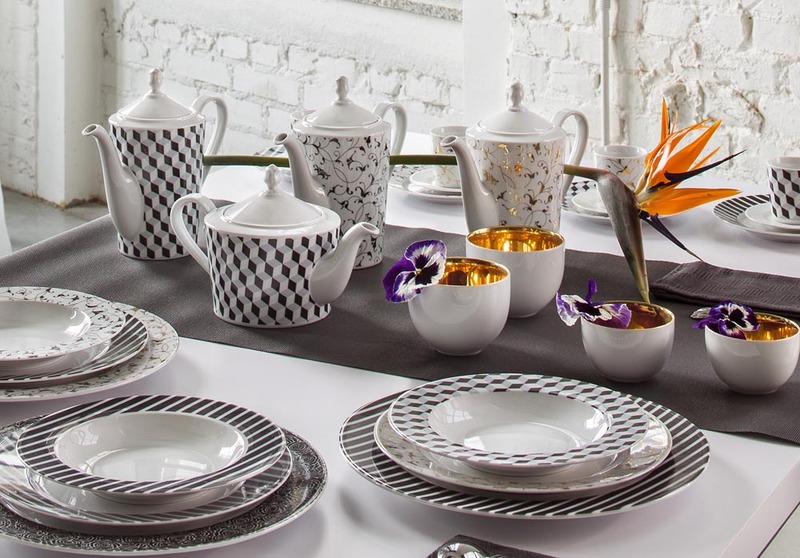 Nowadays, the china from Wałbrzych is famous thanks to a modern lot created through a collaboration of leading designers, illustrators and artists. Some collections that have come out of this area include 'Circus' by Marek Mielnicki, a limited edition of decorative plates by Ania Kuczyńska and the postmodern kit 'Nathalie&George' by Maria Jeglińska. Porcelana Krzysztof, on the other hand, continues to produce its timeless bestseller since 1936 – the legendary baroque kit 'Fryderyka'. Polskie Fabryki Porcelany 'Ćmielów' i 'Chodzież' (Polish Porcelain Factory 'Ćmielów' and 'Chodzież') is the biggest tin-walled china factory in Europe founded through the fusion of two of the oldest factories in Poland: Zakłady Porcelany 'Ćmielów' i Porcelany 'Chodzież'. The 'Ćmielów' factory dates back to 1790, when the local potter Wojtas founded a manufactory of clay pots and faience. The factory started to produce china in 1838, primarily in the Classical style. Transparent baskets weaved from thin china rolls were their most popular item of that time. After 1840, goods from Ćmielów were decorated with prints depicting rural landscapes, historic, mythological and biblical scenes, as well as portraits of famous people. Then, after 1887, the brand mark depicted either the inscription 'Ćmielów' or a drawing of a swan against a background of branches. When the a new owner took over the plant in 1920, it was renamed Fabryka Porcelany i Wyrobów Ceramicznych w Ćmielowie. During the interwar period, the factory invited top designers for a collaboration. One of these designers was Bogdan Wendorf – the creator of the most recognizable post-war tableware 'Kula' and 'Płaski', which was first made at the beginning of 1930s in the art déco style and is still produced today. The classical collection 'Empire', also from this period, is still available for sale and was designed by B. Wysocki and J. Steckiewicz on order of the President Ignacy Mościcki for his residence in the Royal Castle. This became the official tableware of Belvedere in 2012. Moreover, it is also used in the royal court in Belgium, in the President of the Republic of Poland’s registrar’s office, in Vatican City as well as in other diplomatic missions and aristocratic courts all around the world. After the war, the factory was nationalized and then, in 1997 it was privatized once again and given the name Zakłady Porcelany 'Ćmielów'. Currently, its brand mark is the letter 'Ć' in a triangle. During the 1950s and 1960s, apart from tableware, the factory produced so-called figurki ćmielowskie (figurines from Ćmielów), which were cutting-edge in terms of form and technology. The plant in Chodzież was founded in 1852 by two merchants, Hermann Müller and Ludwik Schnorr. At first, they produced faience dishes, and since 1896 – china. 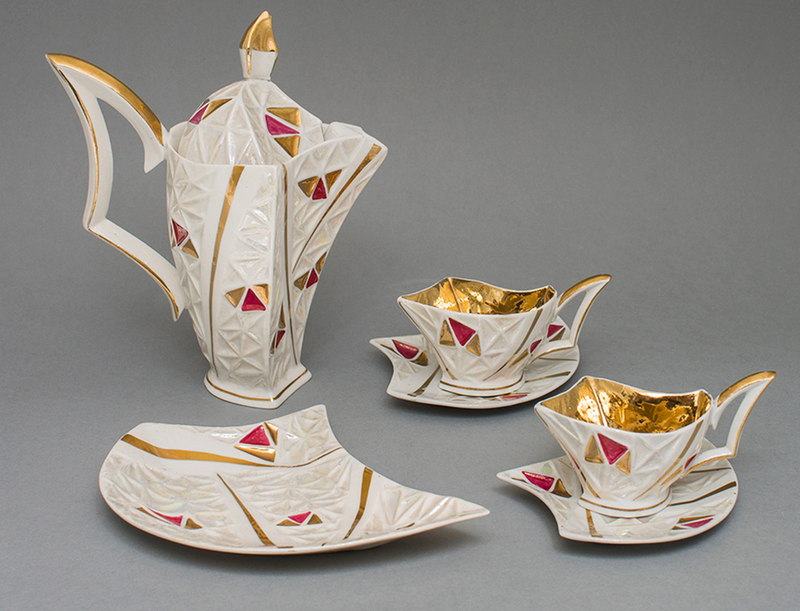 Danuta Duszniak’s remarkable coffee set “Prometeusz” was created here. 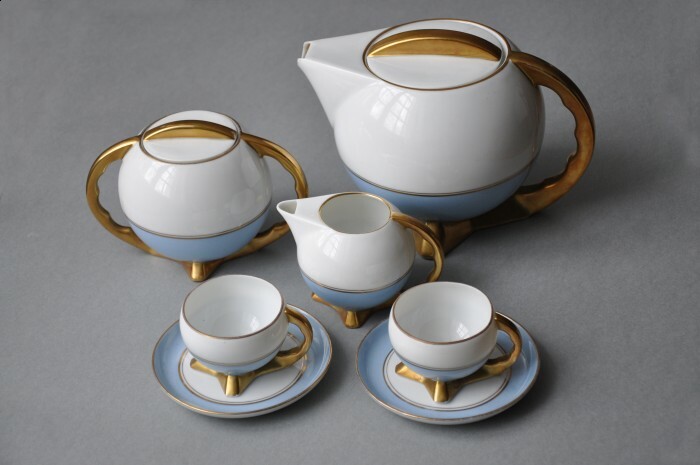 Today’s functional china from Chodzież is produced in three styles: classical, modern and avant-garde. The contemporary line is created within the innovative Ćmielów Design Studio founded in 2013 by Marek Cecuła, an internationally acclaimed artist and designer. This is the first studio in Europe of this kind that allows for artists and designers from around the world to develop their own collections. The most famous Polish faience plants during the golden age of the craft in the 18th and 19th centuries were Radziwiłłów in Biała Podlaska, royal in Belvedere and Wolff or w Prószkowie in Śląsk. However, only the faience factory in Włocławek continues to work to this day.The trademark sky-blue flowers on its products are not only popular but collectible as well. Initially, there were two factories: Włocławska Fabryka Fajansu Teichfeld i Asterblum (Teichfeld & Asterblum Faience Factory in Włocławek), established in 1873 under this name since 1882) and Włocławska Fabryka Fajansu Leopold Czamański (Leopold Czamański Faience Factory in Włocławek), established in 1880 (under this name since 1891). They were located in close proximity to each other and had been producing similar tableware since the 1920s. Sometimes they would even work on the same order and the products could only be distinguished by the signature at the bottom of the tableware. The factories also faced a complicated problem together – after Poland had regained its independence, new sales markets had to be found as selling to Russia was no longer a possibility. At the beginning of World War II, after the Nazis had started the occupation of Włocławek, the factories were joined into one and taken over by the Third Reich. After the war, Poland's communist authorities took over all of private apartments, factories and workshops, including the faience factory in Włocławek. However, they still operated and underwent changes – visual artists were invited to collaborate and they would often create abstract patterns, asymmetrical forms and non-traditional adornment. In the 1970s a fashion for the so-called 'włocławki' started. 'Włocławki', the faience products designed by visual artists, each had a unique pattern and would often be made in an intense colour – cobalt blue, brown and purple. The factory stopped producing faience in 1990, but a few years later in 2002 Fabryka Fajansu we Włocławku (Faiance Factory in Włocławek) was established, continuing the tradition of the old manufacturing facility and employing its workers. In the 19th century Pruszków was an industrial powerhouse of Warsaw's outskirts, being the location of many factories. In 1872 a faience factory was created in Pruszków, owned by Jakub Teichfeld and Ludwik Asterblum. It produced faience tableware and maiolica, modestly decorated with the use of ornaments shaped like flowers, fruits and leaves. In 1946 the factory was nationalised and its name was changed to Zakłady Fajansu w Pruszkowie (Faiance Factory in Pruszków). After 1956 it bore the name Zakłady Porcelitu Stołowego 'Pruszków' (Tableware Factory 'Pruszków'). The products were designed by visual artists, including Zofia Galińska and Wiesława Gołajewska. The factory was closed in 2001 due to bankruptcy. Nieborowska Manufaktura Majoliki (Nieborów Maiolica Manufactory) is the only functioning maiolica factory in Poland. It still operates in the same building where it was created and uses traditional technologies and the same source of material – local clay from a nearby pond. It was established in 1881 by Prince Michał Radziwiłł under the name Fabryka Fajansów Artystycznych i Pieców Kaflowych (Factory of Aristic Faiance and Masonry Stoves). Local artistans and artists, alongside students from Warsaw's Szkoła Rysunkowa Wojciecha Gersona (Wojciech Gerson's Drawing School), worked there. Up until 1885 its products – decorative stoves, heaters, vases, amphoras, jardinière, and plates – were very popular in Congress Poland and the Western governorates of the Russian Empire. The forms and motifs were initially based on historical Italian, French and Dutch maiolica patterns. After receiving criticism from the press, the prince decided to start using national motifs. Social and economic changes forced Radziwilł to sell the equipment to Stanisław Thiele, a specialist in maiolica who ran the manufactory up to that point. A year later the plant was closed. The first attempt to reactivate the Nieborów factory was undertaken by the sculptor and ceramicist Stanisław Jagmin. In the years 1903-1906 he produced unglazed ceramics inspired by Celtic and Pre-Slavic archaeological findings, and later on – modern Art Nouveau ceramics. 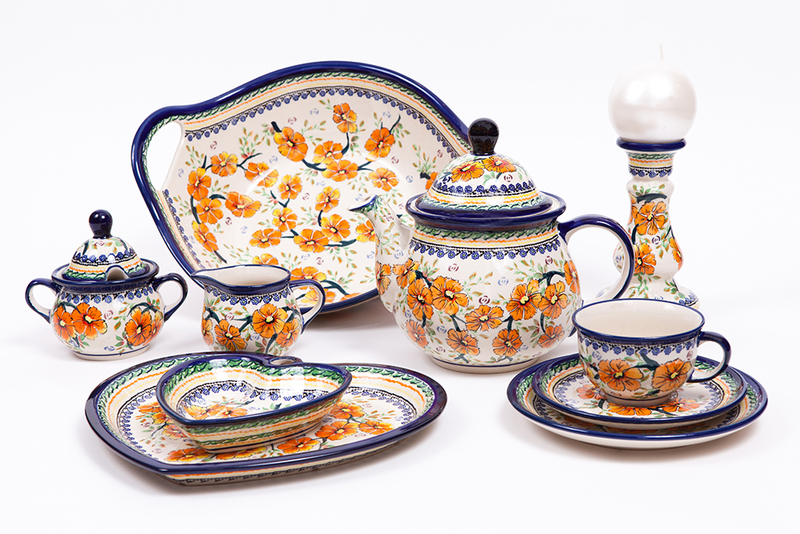 Copies of old decorative items have been produced in Nieborów since 1982. Initially, Nieborów's maiolica had been signed with the acronym MPR (Michał Piotr Radziwiłł), and later with the signature ST (Stanisław Thiele). The signatures of the decorators or numbers indicating the dates were often put alongside. Right after the last Silesian Uprising which resulted in the city of Katowice being given to Poland, the first china factory was created in the Upper Silesian town of Roździeń (today, the town is part of Katowice). It was established by brothers Ryszard and Józef Czudays and was called 'Elektro-Porcelana-Czudaywerke' ('Electro-China-Czudaywerke'), initially producing mainly technical and laboratory china. The company was transformed into in 'Giesche' Fabryka Porcelany ('Giesche' China Factory) in 1923 (renamed to 'Giesche Porzellanfabrik' in 1926). In the interwar period, the factory was one of the most prominent, competing with the factories in Ćmielów and Chodzież and the manufactories of Lower Silesia, which was part of Germany at the time. In 1939 the factory, without stopping its production, was taken over by the Germans. In the middle of the 1940s the chief branch of production was table china, including rare vessels for heating food. It was then that the Katowice china started to be used by Polish diplomatic posts. After World War II, the factory was nationalised. Most of the models and technical drawings from the German period were destroyed in the 1950s. They were replaced with new infrastructure and the signature Zakłady Porcelany 'Bogucice' ('Bogucice' China Factory). In democratic Poland, the post was closed. However, it was bought by a private limited company and produced items signed 'Porcelana Śląska' ('Silesian China') from 1995 to 2009. In the mid-90s, the signature 'Giesche' was also used. Since 2012, the factory has been operating as Porcelana Bogucice ('Bogucice China'), owned by BGH Network. 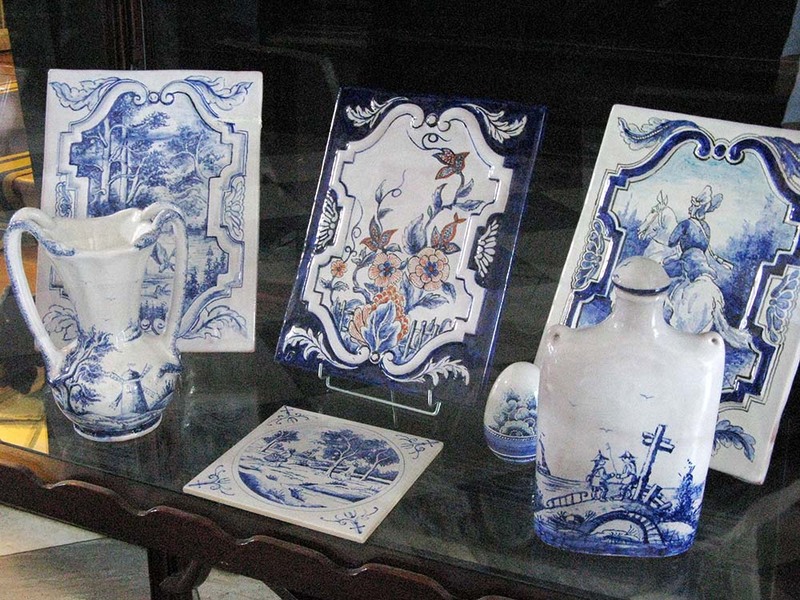 It offers luxury china sets, including ones depicting prominent Polish musicians and composers, and copies of masterpieces of Polish painting from the collection of the National Museum in Kraków. Steatyt Factory was operating in Katowice from 1947 to1994 and was one of the few private china manufactories in Poland under communist regime. In the 1950s, it mostly produced copies of patterns from famous European posts, for instance Rosenthal and Lorenz Hutschenreuther. The 1960s was a period of prosperity – unique shapes and patterns were used in production. 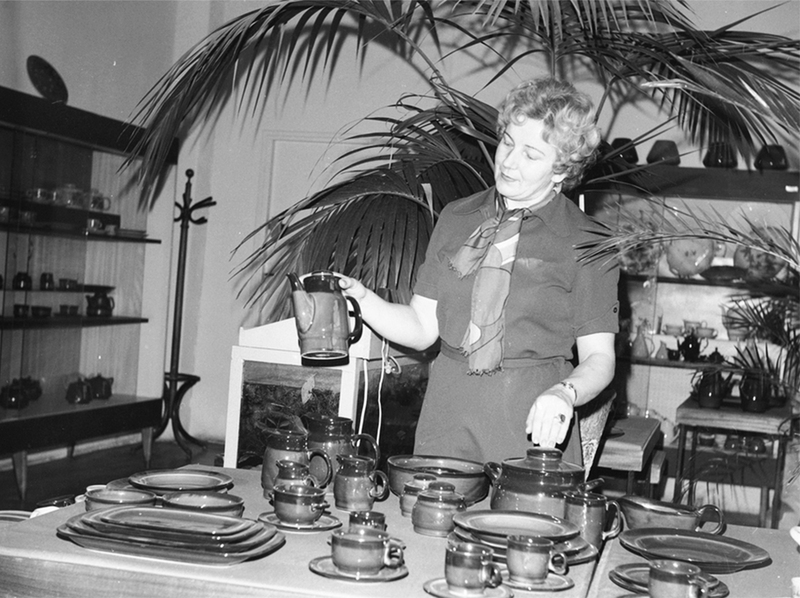 The tableware, dynamic and asymmetric, bright and boldly decorated, was supposed to be modern. Today, it is appreciated by fans of vivid aesthetics. Vases reminiscent of fantastical sculptures, decorations used to camouflage production mistakes and the production of lamps absorbing smells, yet-unknown to the Polish market, resulted in Steatyt becoming 'an icon of Silesian design' in 2013.